US President Donald Trump has said that his trade and tariff policies have started working and many countries, including India, have opened up their markets for American poultry and agricultural products that were not allowed previously. Addressing the 100th annual convention of the American Farm Bureau Federation on Monday, he said,"India and Morocco have opened their markets to our poultry exports. We do so much for them, it's incredible. Japan opened its market to US exports of potatoes from Idaho and lamb from the great State of Texas." He also said that under the Trump administration, the US is turning all of that around with fair trade deals that put American farmers, ranchers, and in fact put America first. "That's what I'm interested in, American first," he added. For the first time in a quarter of a century, Argentina recently opened its market for American pork exports, Trump said. "They (Argentina) needed something. I said, you have to open it up to pork, and they said, okay. I said, why didn't you do it before? They said, nobody ever asked us. A lot of it is that. You would be amazed. Nobody ever asked us," the US President said. Similarly, he said that beef from the US has been shipped to Brazil for the first time since 2003. "They're going to have a great new leader. They say he's the Donald Trump of South America. Do you believe it," Trump told the cheering farmers. Asserting that the US has taken the toughest ever actions to confront China's unfair trade practices that hurt American farmers and ranchers, he said,"This includes China's theft of trade secrets from American agribusiness." He said he could not believe how complicated their business is with the seeds and the genetic farming. "It's incredible. People don't know this. But your secrets were being stolen by China and, in all fairness, other countries. We want a fair deal for American farmers removing China's arbitrary bans on agricultural imports, safeguarding our intellectual property, and providing fair market access to all American producers," the US President said. 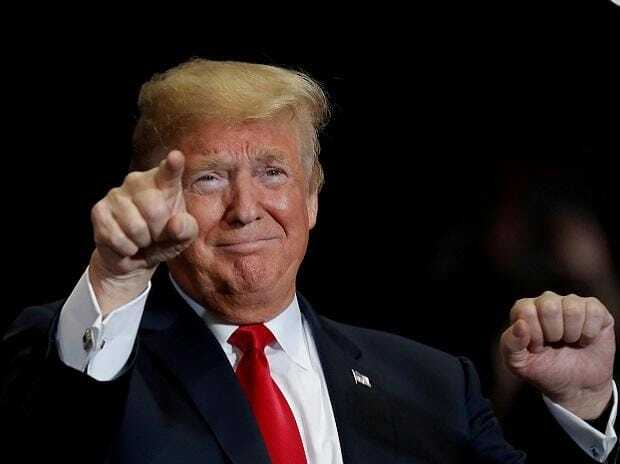 Trump said the US has also made history by finalising an agreement to replace the "horrible" North American Free Trade Agreement (NAFTA) with a brand-new US-Mexico-Canada Agreement, called the USMCA. Alleging that the NAFTA was one of the worst trade deals ever made by a country, he said the new landmark trade deal will increase exports of wheat from Montana, dairy from Wisconsin, chicken from Georgia, and products from farmers and ranchers all across the country. "As part of the USMCA, Canada agreed to give fair treatment to the US wheat farmers. They will now grade American wheat just like they grade their own," he said. According to Trump, over the last 15 years there has been a continual decline in the US' share of agricultural trade all throughout the world. "It's all going in the wrong direction. It's changing now. Wait till you see what happens. We do the right deal with China, you're talking about massive - and they're already backordering, right? They're already back. I told them. I said you got to start ordering. You're going to order. They're going to order, and they're already started," he said. "We're turning all of that around with fair trade deals that put American farmers, ranchers, and in fact put America first. That's what I'm interested in, American first," the US President said.